Besides much else that has happened in March, I need also to somehow mark the death of Sir Terry Pratchett, or Pterry to many of his fans. Much has been posted about Pratchett in the weeks since he passed away, but as with Tolkien, he leaves his work behind. If the Universe is, after all, a just place, there will be an inn beyond the Circles of the World – a timeless variant of the Bird & Baby, where a seat will have been made for Pratchett. Featuring a number of Tolkienists reading favourite passages related to this year's theme of friendship. Personally, I did a reading in the Copenhagen fantasy & SF book shop, Fantask. I had chosen to read from The Children of Húrin telling the story of the friendship between Túrin and Beleg Cúthalion, from their meeting in the woods of Doriath (told only in passing by the narrator) through to Túrin's arrival to Nargothrond after Beleg's death. I chose this reading in order to focus on some of the less known texts, and to highlight a side of Tolkien's work that often gets overlooked by his critics. All in all the reading itself took about 1½ hours, to which I added a break in the middle (sitting right next to the Pratchett shelves, that break did cost me a couple of books). A couple of the usual collections of inspirational quotations attributed to Tolkien have not met the standard required here and have been omitted. NEVER use a quotation you have found on the internet until you have verified it! And if they do not provide a proper source (at least book and chapter), then don't bother at all. I have never myself been terribly interested in the details of translating Tolkien, but I do think it is interesting to see how translations of Tolkien's work are appearing in some odd languages, where one can expect the translation to be used more as an aid to learning the language through a familiar story than as a way of encountering the story. Personally I prefer to eschew translations if I am at all capable of struggling through a book in the original language, as a translation will never be a fully accurate representation of the original. Now called the Middle-earth Festival, the event returns after a hiatus to celebrate the links of J.R.R. Tolkien to Sarehole Mill, Moseley Bog and the surrounding area. A highly recommendable article by Andrew Higgins about the very earliest stages of Tolkien's construction of Elvish languages, circa 1915 – 1920. Focusing on Tolkien's Sellic Spell in particular, and on Beowulf in general. A discussion of Beowulf with Laura Ashe, Clare Lees, and Andy Orchard (the current Rawlinson and Bosworth Professor of Anglo-Saxon at the University of Oxford). There are some very interesting points being made (at least for those of us, who have not been taught Beowulf in school or university). In this second article from the on-line peer-reviewed journal of Tolkien Research, Sherrylyn Branchaw discusses how we might understand Tolkien's various writings on literary criticism and reconsile those with his own practices. This warning to read Tolkien's comments with the context in which they were supposed to be understood in mind follows other work in recent years that propound similar healthy scepticism to a too-literal reading, but Branchaw's article collects the threads nicely, and provides an excellent holistic analysis. One of the very nice thing about this series from Anna Smol is that she keeps finding things that I didn't know existed – but it is perhaps even better when she posts things that I probably wouldn't have searched for in the first place such as, in this post, the films from the Bodleian and the Marquette (and of course, while context is definitely far from everything, it does matter ...). Announcing that the University of Leeds has acquired a ‘collection of letters, poems and prose’ including six letters, eleven manuscripts and two books, one of which is a first edition copy of The Hobbit which Tolkien dedicated to Gordon and his family. In which Ott describes the rare Songs for the Philologists that had, at that point, been recently acquired by the University of Virginia Library. ... I think the headline says it all, really. 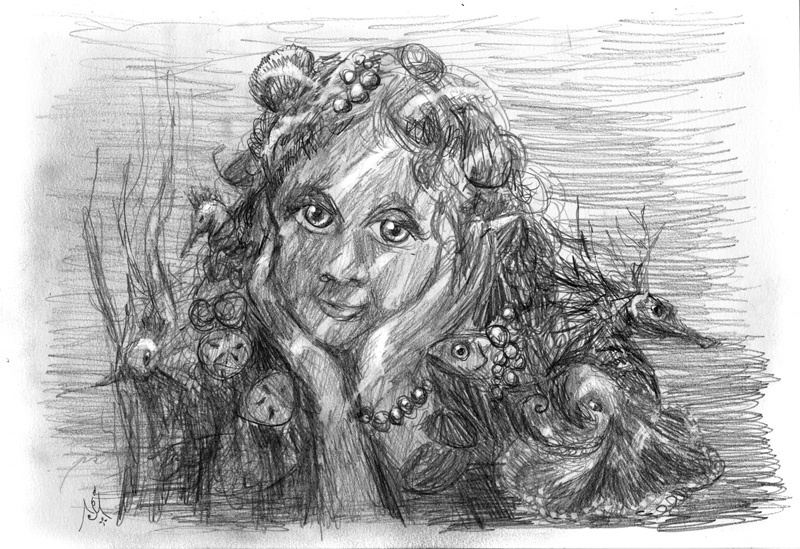 Ben offers some thoughts about The Children of Húrin in this post. I quite agree that this story deserves to be better known (albeit there is some very excellent scholarship done on Túrin such as West's ‘Túrin's Ofermod’ in Tolkien's Legendarium or Nagy's ‘The Great Chain of Reading’ in Tolkien the Medievalist). Ben writes about the ethic ambiguity in this tale with its mix of especially Finnish and Norse sources and ethics, but unfortunately he spends more time criticising the approach taken by Corey Olsen than he does expounding his own analysis. It has been quite a while since I listened to the lectures Ben refers to, but as I recall it, I would agree that Olsen's analysis tended towards the overly simple, albeit, as has been pointed out excellently by Branchaw this month, we really ought to understand the context in which the lectures are given. Ben continues his criticism of Olsen's analysis as being overly simple in the following post, though there referring to a podcast I do not think I've heard. One point that strikes me in this case, however, is the discussion of death as the Gift of Ilúvatar. Far too many commentators (including scholars) tend to forget that the Gift is primarily one of freedom – of freedom from the Music “which is as fate to all things else” and that it is merely “one with this gift of freedom that the children of Men dwell only a short space in the world alive, and are not bound to it” – death, thus, is not the gift in and of itself, but is inextricably tied with the freedom and the greater fate (to make everything “in form and deed, completed, and the world fulfilled unto the last and smallest”). For Russ Linton the news of the death of Leonard Nimoy eventually sent him through Nimoy's famous (or should that be infamous?) 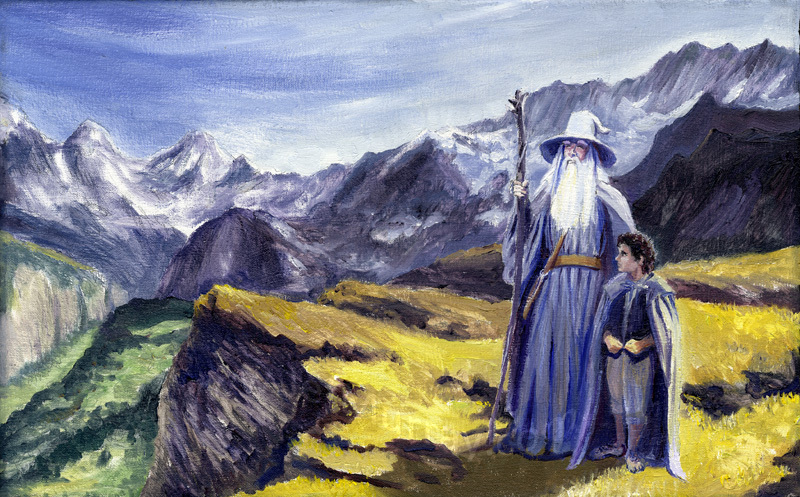 rendition of The Ballad of Bilbo Baggins on to a quest for Tolkien-related music – a search that he has written about here. I generally have very little patience for studies of ‘Tolkien fandom’, and, paraphrasing Tolkien, I admit that ‘I am a man of limited sympathies (but well aware of it), and [fan fiction] lies almost completely outside them’. I have read, and enjoyed, a few pieces of fan fiction, but I do so in sympathy for the author of the fan fiction, and in spite of it being fan fiction. Also, I firmly believe in the supremacy of the author within his own sub-creation as the only common ground worth discussing – I generally find other people's ideas about how they think things ought to be within Tolkien's sub-creation to be quite uninteresting, whereas an well-argued idea about how Tolkien might have thought they were can be very interesting. With this starting point, it will be no surprise that I found little that resonated with me in this talk, and the best I can say is that at least I have absolutely nothing against others doing what they like as long as they'll allow me to ignore it (and no, I don't think it is inferior – it is just not my thing at all; inferior work is being done, and unfortunately also published, within all approaches, but so is superior work). It would be presumptuous of me to say that Elise Ringo (the name makes me presume it's a woman) misses the point with this article, but I can hopefully say that she doesn't address the point that I would find the more interesting. 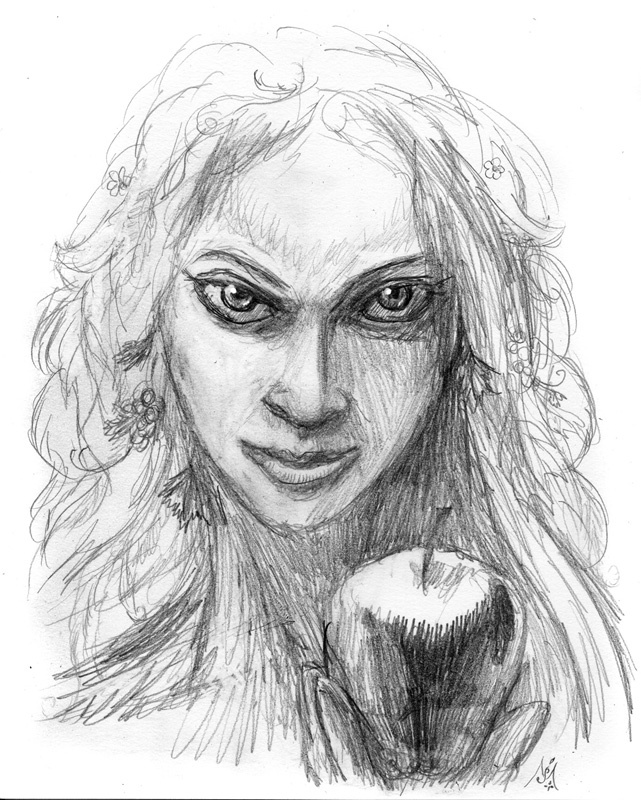 When she emphasises six strong female characters from Tolkien's Middle-earth legendarium (Lúthien, Haleth, Idril, Aredhel, (Tar-)Ancalimë, and Galadriel), she picks six characters of legend, only two of which (Lúthien and Galadriel) were ever fleshed out in a more detailed portrait, and all of whom are portrayed in what in Northrop Frye's system would be the romantic or high mimetic modes. This means that they are all larger than life – worthless as exemplars of gender or race. Tolkien did have a problem portraying women, but obviously not one that extended to women of legend. Éowyn was omitted from this list, but she, too, is (mostly) portrayed in the high mimetic mode and too far removed from the reader (at least if the reader has a realistic view of her- or himself) to provide a role model. The few women we do get that are closer us – e.g. Ioreth of Gondor, Rose Cotton and Lobelia Sackville-Baggins of the Shire – are all portrayed very sketchily, making them feel as much as charicatures of women roles than as actual and living characters. The effect is that (at least in the three big ones – The Hobbit, The Lord of the Rings and The Silmarillion) there are no strong women who have that sense of being realistic people. Personally I think it is possible that Tolkien, consciously or sub-consciously, avoided writing ‘real’ because he wasn't good at it (whether he realised this or not, I couldn't say). The excellent news that the next book by Hammond and Scull, The Art of The Lord of the Rings by J.R.R. Tolkien is now available for pre-order, with expected publication date on 13 October. at first look it seems that the Houghton Mifflin edition is on pre-order also on Amazon.co.uk, but this may merely be a temporary thing. A review of a book by John Lindow that takes a look into the history of the Troll. This might be a good place to start for anyone wanting to know more about the background also for the Olog-hai of Tolkien's works. 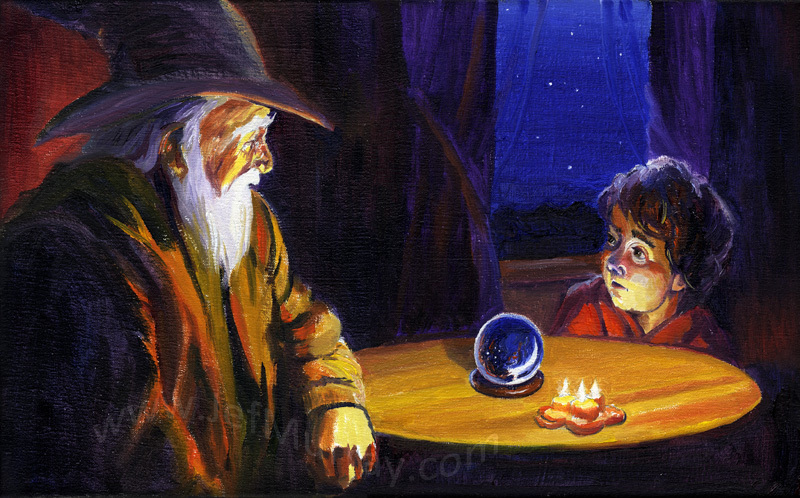 A painting of Gandalf and Frodo, presumably during the journey west of the Misty Mountains (somewhere in Eregion would be my guess). 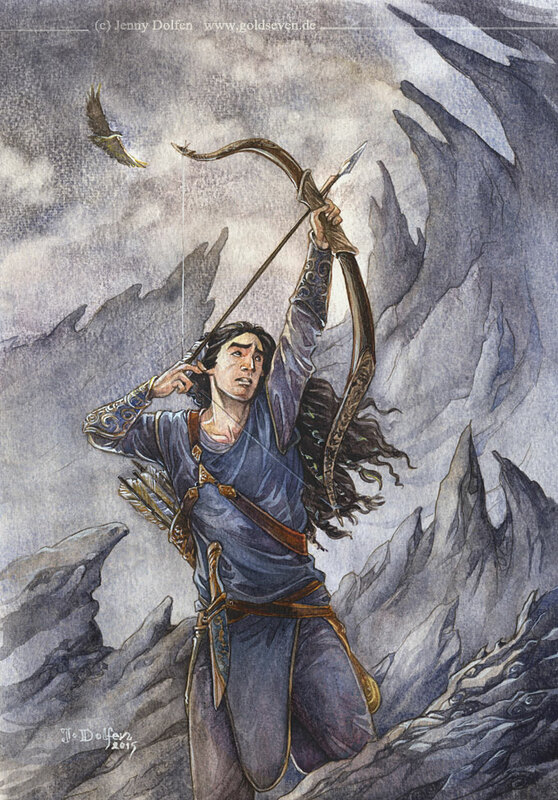 A watercolour of Fingon getting ready to shoot Maedhros to release the latter from the pain of his imprisonment by Morgoth. After completing his Ph.D. on ‘the Genesis of Tolkien's Mythology’ (see also last month), Andrew Higgins has returned to his own blog, Wotan's Musings. With the projects Andy Higgins is sketching in this post, it would seem a good idea to follow his blog and his Academia.edu profile closely. 21 images from Moseley Village, from circa 1914 up to 1992. It is perhaps not entirely fair to hide this in the discussions section, but Ursula Le Guin has in two posts reacted to some statements by Kazuo Ishiguro regarding the fantasy genre in general. The two posts (numbers 95 and 96) are Le Guin's side of the discussion, but with links to Ishiguro's statements. If only all internet discussions were conducted with this kind of attention and readiness to acknowledge a misunderstanding. A read-through discussion of The Book of Lost Tales, which has so far covered the foreword and the first chapter. March saw my copy of Tolkien Studies XI finally arriving. The story behind this is, I hope, amusing enough to justify sharing it. I ordered my copy in the latter part of November, knowing that it was a little delayed, and about New Year, I started noticing that several friends had received their copies – including friends in Europe, but I wanted to give it ample time before writing West Virginia University Press about the problem. Between this and being quite busy overall, I didn't really get around to writing them, but on 18 March Andrew Higgins wrote something on the Tolkien Society Facebook Group that made me remember again, and that made me write them at 14:42 (all times are Danish, or CET). They quickly promised to send a new copy, and after a bit back and forth, at 17:42 I got confirmation that it would be taken care of. All of this, as the times will suggest, happened while I was at work, but when I arrived home that evening, I found the my copy, which must have been under way since about New Year, waiting for me. I immediately wrote the nice people at the WVU (at 19:23), and they were fortunately able to stop the new copy from being sent. But what a strange turn of events! I have, of course, remained busy, and have not had time to read the whole volume yet, but I have managed to read Verlyn Flieger's contribution, ‘But What Did He Really Mean?’, in which she addresses some of the questions where Tolkien seems to be saying two opposing things about his own work – the question of conscious Christianity, the question of the independent reality of Elves and Faërie, and (interestingly) Faërian drama. Flieger's paper is more nuanced and balanced than what I have seen elsewhere, and as usual she seems to understand Tolkien's intentions, and Tolkien's struggles, better than nearly all others. Various talks on Tolkien from the Marion E. Wade Center – well worth listening to! A lecture series with Corey Olsen and co-lecturers about The Book of Lost Tales II (the last two lectures to be held in April).